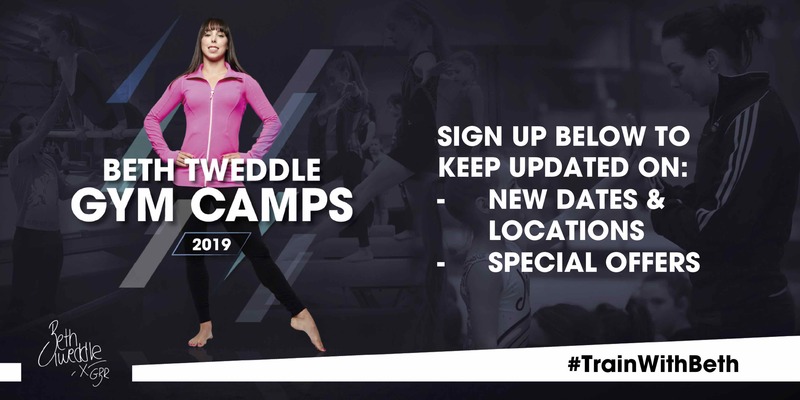 Thank you to everyone that atteneded Beth's 2019 camps! Beth is now taking a break to have her first baby. To keep up to date and be the first to hear about new events, dates, locations and special offers - sign up here. Keep up to date - join the mailing list! There is a separate morning and afternoon session to choose from at each camp! Each session is limited to a maximum of 50 gymnasts. Tickets are transferrable between sessions and every effort will be made to find a suitable replacement session for any participant that cannot attend their original session. If a replacement session cannot be arranged, refunds can be applied for via our ticketing system up until 7 days before each session, however please note we reserve the right to issue refunds at our discretion. Refund requests submitted within 7 days of a session will be reviewed on request. In some cases (i.e. injury, force majeure) participants may qualify for a full refund.